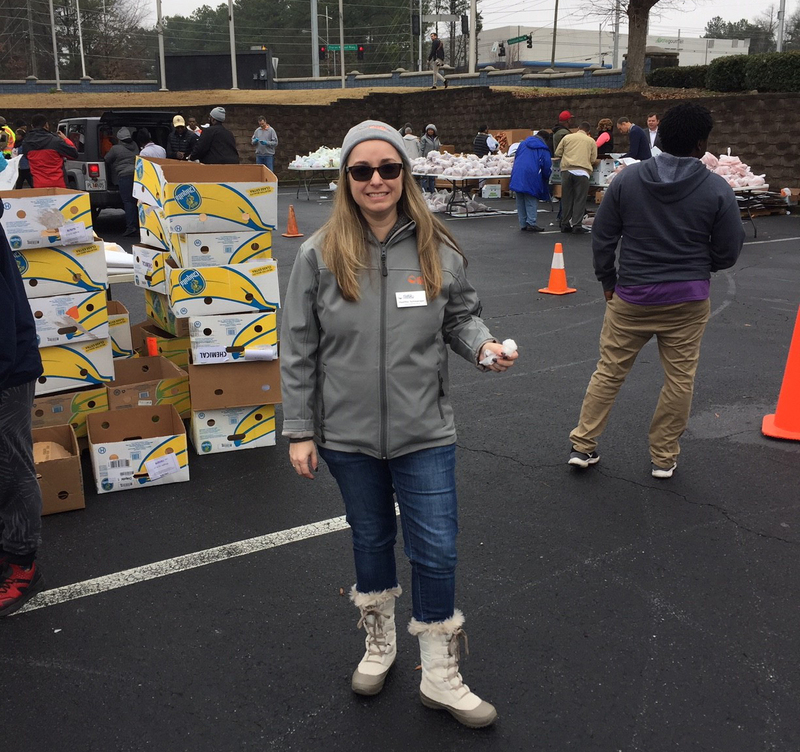 Heather Schlesinger, chief marketing officer of the Atlanta Community Food Bank, was recognized by the American Marketing Association’s “Marketer For Good” award. Schlesinger during the December and January government shutdown, helping to provide food to thousands of federal employees. 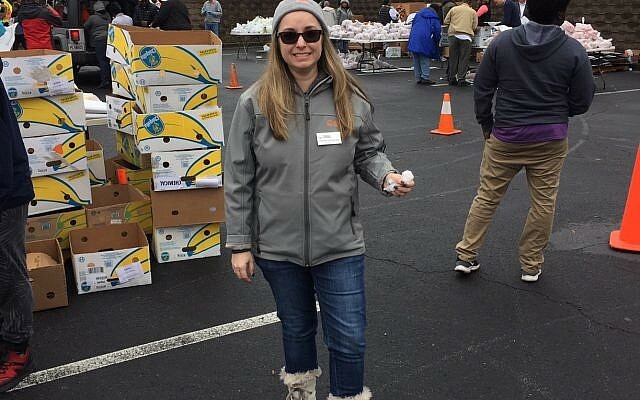 Heather Schlesinger, chief marketing officer of the Atlanta Community Food Bank, was recognized by the American Marketing Association’s “Marketer For Good” award at its 62nd annual ceremony on March 21 at The Fairmont in Atlanta. The food bank, which was founded in 1979, is among the largest hunger relief organizations in the Southeast. Now celebrating its 40th birthday, more than 61 million meals were distributed to families in metro Atlanta and North Georgia. Schlesinger is a native Atlantan and a member of Congregation Beth Shalom in Duwnoody and Shalom b’Harim in Dahlonega. She has been with the food bank for two years and said she was completely caught off guard by the award. 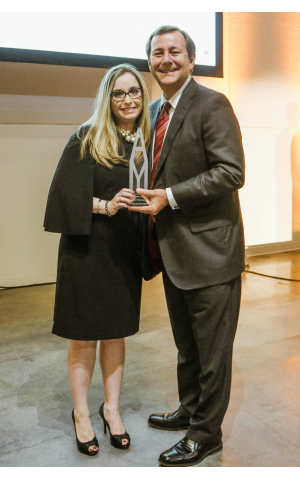 Heather Schlesinger receives the Marketer for Good award. But today, her children see her work a little differently. Schlesinger has launched several “Day of Service” events, including Summer Dish, Noche Buena Dish, and Lawmakers’ Dish, which invite leaders from different communities to come together and serve. While she was the one recognized, she was sure to share the praise with the 167 food bank coworkers who inspire her.